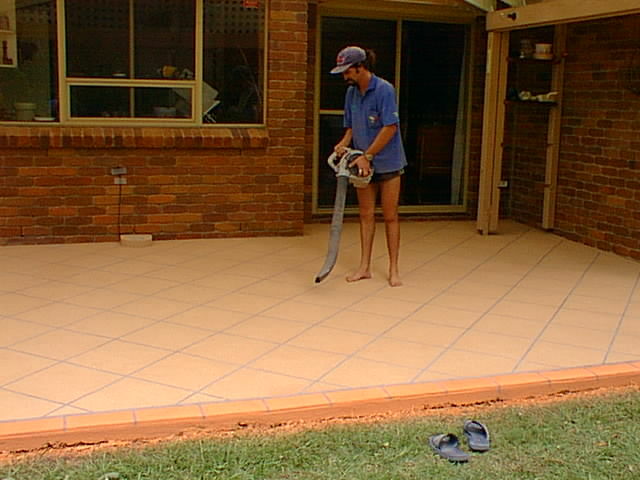 Flocrete is a decorative thinset (3-5mm) resurfacing material for renovating old or new concrete surfaces. 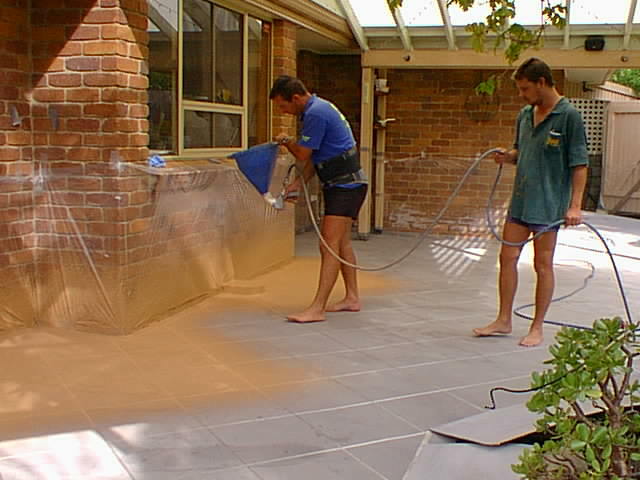 Flocrete is a polymer modified cementitious single pack mix (simply add water) designed to give excellent protective durability, while decorating existing concrete in an unlimited combination of textures, colours and patterns - limited only by the imagination: therefore a great designers product. 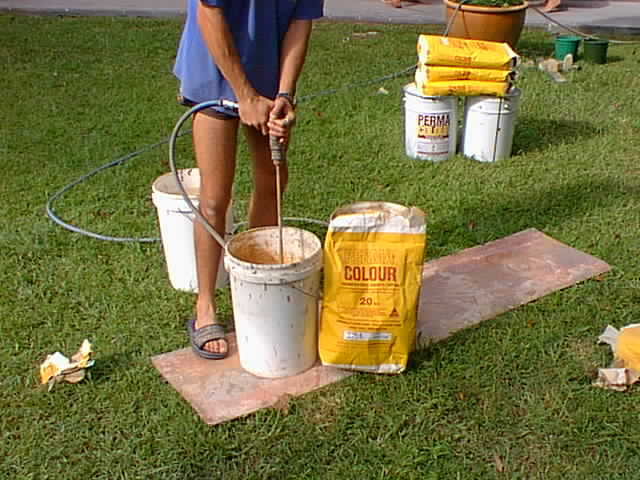 Flocrete is a `cohesive'polymer modified cement, chemically structured to grow into the concrete matrix. It is not adhesive or merely `glued' to the concrete surface like other similar products. The concrete surface is cleaned of all contaminents and then acid etched and waterblasted to clear and activate the concrete pores to accept the flocrete material. 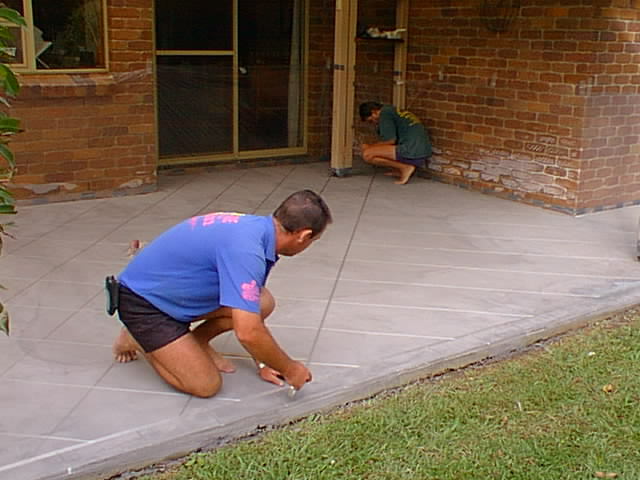 Flocrete is mixed with water and applied by a hopper gun operated by compressed air to the patterned (stencil or filament tape) concrete surface. 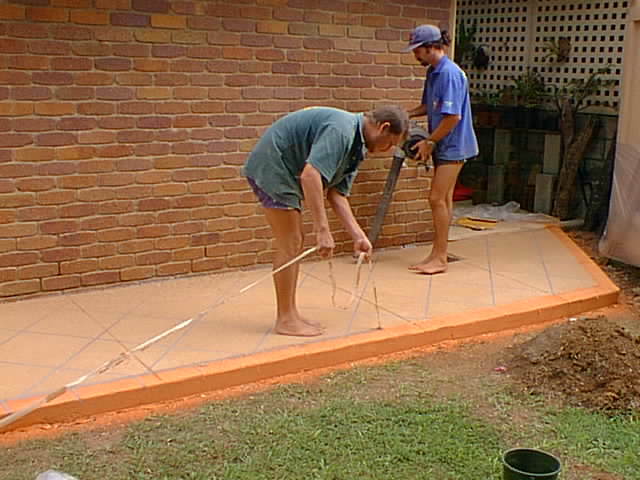 Flocrete can also be troweled onto surfaces. 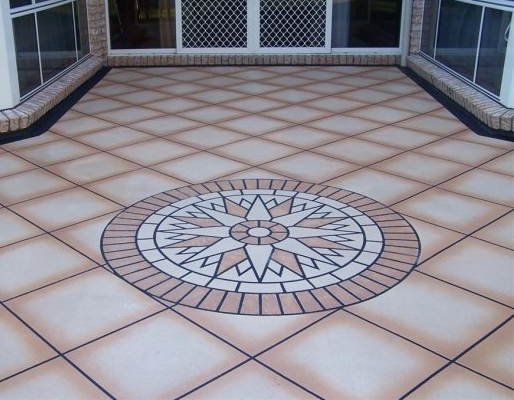 Flocrete is allowed to dry, stencil or tape removed, swept or blown clean and then sealed with 2 coats of acrylic sealer.